“When I eventually understood the nutritional myths that had me snookered and miserable, the biggest headline was that REAL FATS ARE GOOD- even the maligned saturated fats and its corollary, INDUSTRIAL FATS ARE BAD. It’s not complicated. Eat real fats and avoid industrial ones.” Nina Planck, Real Food for Mother and Baby. I couldn’t possibly allow “Traditional Foods” month to come to a close later this week without addressing the issue of which fats are traditional and which are the modern, industrial fats to be avoided. I love this simple quote from Nina Planck, which sums up my own position on the topic well. Fats are a tough subject, with so much controversial information and conflicting advice out there. I’ve dug through the research as much as was reasonable for a busy mom and wife, and what I present to you here is a compilation of the kinds of questions that I am most frequently asked when it comes to the fats that we should eat for good health, and my own answers, as thoroughly as I can give them for the purpose of this post. Which fats should we avoid? Aren’t saturated fats the enemy? No, in fact they’re absolutely necessary for a whole host of bodily functions. Saturated fats are crucial for cell membrane structure and integrity. They are a valuable source of fat soluble vitamins, such as A, D, and K, which are deficient in most North American diets, and these vitamins are necessary for hormone regulation, reproduction, immunity, bone health and much more. Strong bone development requires saturated fats, which regulate calcium levels. Saturated fat makes cells more resistant to oxidative damage. As well, saturated fats are far more stable at high temperatures than other fats, so they are unlikely to become oxidized and turn into cell-damaging free radicals (as polyunsaturated vegetables oils frequently do). More than half of the brain consists of saturated fat and cholesterol, and these fats also comprise a large part of the myelin sheath that surrounds nerve fibers and ensures proper message relaying between the brain and nervous system. Saturated fats contain fatty acids such as lauric acid, myristic acid and caprylic acid, which are antifungal, antimicrobial and antiviral, and all contribute towards a stronger immune system. Saturated fats are actually GOOD for hearth health, and lower a substance called Lp(a), while increasing good cholesterol (HDL). There are more, but I’ll allowed you to check out the sources I’ve linked to if you’re interested. Sources- one, two, three, four, five. What about heart disease and high cholesterol levels? Not to mention the fact that numerous traditional diets have been studied (African Masai, Eskimo, Mediterranean, French, Japanese, to name a few) where saturated fat is consumed in abundance, and yet these cultures display rates of heart disease or heart attack as well as cholesterol levels that are significantly lower than in western countries like the USA and Canada. Additionally, heart disease rates in North America began to rise around the same time that consumption of traditional fats (such as butter and lard) began to decline, and industrial fat consumption (such as margarine and refined vegetable oils) began to rise dramatically. Is there a correlation between those two occurrences? Personally, I think there is. Doesn’t eating too much fat make you fat? This is such a lie of our culture. Eating fat doesn’t make you fat. Eating a whole ton of carbs (especially refined ones) and sugar (yes, even too many natural sweeteners and fruit juices)- now that is a recipe for gaining weight. Out of control portions makes it worse. Add to that our apathetic, couch-potato tendencies and that’s what is causing obesity in North America. Not saturated fats. When I first started eating better and consuming more traditional fats, along with decreasing my sugar and refined grain intake, I lost weight. Easily. It just fell off, about 20 lbs of it. I currently eat plenty of fat, as much I feel like eating (no, I don’t gorge on spoonfuls of butter or cream, but I do genuinely allow myself to eat it freely, without guilt, and to taste). 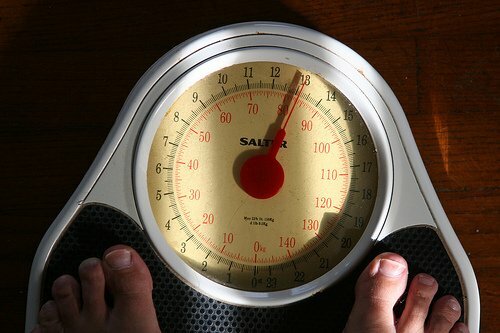 My fat consumption does not make my weight fluctuate. So what does make it fluctuate? When I get less active, when I eat too many “easy” foods high in carbs, when I allow my sweet intake to go less checked than usual. Other reads of interest on this topic: Fats to Eat, Fats to Avoid (Or Why I Eat Butter), How to Lose Weight Fast With Coconut Oil, The Fat That Can Make You Thin, Lowfat Diets, and especially the book Eat Fat, Lose Fat by Dr. Mary Enig and Sally Fallon. What about oils like peanut, sesame, grapeseed and walnut? If you can find them cold-pressed or unrefined, then from what I understand, these types of oils can play a limited role in the diet. When processed at higher temperatures, they are too fragile and quickly burn because of their low smoke points, and they will break down, oxidize and can create free radicals. One of the things that we also need to take into account is the balance between omega-3 and omega-6 fatty acids. We should ideally consume these two fatty acids somewhere between a 1:1 and a 4:1 omega-6 to omega-3 ratio. Yet, average North Americans consume ratios of anywhere from 8:1 to 25:1! You will find the highest percentage of omega-6 in the polyunsaturated vegetable oils (safflower, sunflower, corn, and yes, sesame, grapeseed, peanut, etc.). Oils like walnut and flaxseed lean more towards the omega-3 end. Our goal should be to decrease omega-6 and increase omega-3 consumption. It’s not that you want to avoid consuming omega-6 fatty acids, because they are just as necessary as omega-3, hence the term “essential fatty acids“. The issue is that you probably already get plenty (if not too much) omega-6 without even trying, while most of us struggle to up our omega-3 intake to balance out the ratio unless we’re very purposeful about it. Being aware to keep your omega-6 intake on the lower end (especially by keeping vegetable oil use very moderate), and consciously boosting your omega-3 intake (particularly by eating fish and fish oils, including cod liver oil, free-range eggs, and grass-fed beef) will help to ensure that your ratio is a healthy one. Which fats for which purpose? :: For pan frying/grilling/roasting: Butter, coconut oil, tallow or lard (any animal fats). I would also include extra-virgin olive oil in this list, but when it comes to really high-temperature sautéing, I would use something different. :: For deep-frying: Animal fats only. These are the most stable fats that you can use at such high temperatures. We usually use beef tallow, but lard works as well. It tastes amazing. Wow. :: For baking: Coconut oil and butter are idea. Palm shortening is another option, and lard is supposed to be great for flaky crusts. I personally like to use a mix of coconut oil and butter, though it depends on what I’m making (for pie crusts and the like, only butter will do). Apparently you can also use olive oil (if you like the taste of it in baking, which I don’t really). Katie from Kitchen Stewardship helped me out on this topic (which she has researched more than I have) by emailing me this: “You know how info on nutrition is…never 100% certain of anything! But in everything I’ve read, yes, EVOO should be fine in baking. I actually put a small dish of straight evoo in the oven at 400 or so once, and after 20 minutes, it wasn’t anywhere near the 375 smoke point.” I’ve linked to her series on fat below, which includes several different posts on olive oil in particular. :: For dressings/marinades/mayonnaise (cold-use): Extra virgin olive oil and unrefined vegetable oils in moderation (flax, sesame, walnut). Want to research it more yourself? Cholesterol Lowering and Low-Fat Diets for Children– very important! This discusses why children should never be fed a low-fat, low-cholesterol diet! Tropical Traditions (coconut oil, palm oil and shortening, olive oil, sesame)- buy in bulk, watch for their weekly sales and use that as your time to buy (and Mondays they often put out 10% or free shipping coupons). If you select “Referred by a friend” use the code 6019440 at checkout, you can also get a free copy of their book on coconut oil. Which fats does your family eat the most? Any other testimonials from those who have switched over to traditional fats? Disclaimer: I am not a certified medical professional of any kind and am not qualified to give you medical advice, to diagnose any illness or prescribe treatment. My goal is to help to educate and inspire you to take responsibility for your own family’s health and make informed choices of your own, not to consult you on medical treatment. Wow! I am blown away! We use butter and olive oil in my house even though my husband keeps asking for “vegetable oil” because he thinks recipes call for it and he has to have it. I want to forward this article to about 5 people. It flipped everything upside down for me and I didn’t even get through the entire thing yet! Thanks! @Jennifer, I know, it’s completely against conventional nutritional wisdom and what we’ve been told for so long. It’s hard to make the switch, especially just in our minds. I’m glad this was helpful for you! Excellent post! Thank you so much for all this information and all those links. Ooh I just can’t wait to read them. I love butter; it is our #1 most consumed fat. We also use a lot of cold pressed EVOO and coconut oils. This subject is something that I have become more and more interested in, through the past few weeks. We probably use butter the most…coconut oil sometimes…I LOVE lard but can’t always get it…and beef tallow. Olive oil in limited amounts (Italian dishes or salad dressings). Typically that’s it. I don’t keep others in my home at all. When I went on GAPS about 15 months ago (and was completely dairy-free), I lost a bunch of weight…too much. And that’s eating coconut oil and tons of grass-fed beef with all the fat! After we eased off GAPS and I was eating dairy again, I very slowly gained some weight until I settled where I needed to be, and stayed there. Well, until I got pregnant! lol. My husband’s cholesterol is LOW. It’s been around 130, which is too low. But it doesn’t seem to matter how much whole milk, butter, coconut oil, eggs, etc. that he eats — it doesn’t come up. Of course, we haven’t focused on it and he’s currently going through an arsenic detox. Once that’s done (3 – 4 months) we’ll see where we are. He’ll be back on GAPS so he’ll be getting extra fats anyway. He needs them. Right now he craves them, especially raw milk. He, too, lost weight — 60 lbs. — and has easily kept it off, after starting to eat more fat. What makes him gain weight? Industrial/processed foods. If he takes a business trip and has limited options, he WILL come back a bit heavier…but will lose the weight again easily in a week or two eating our usual way. Thanks for the great information! I’m passing it on to friends and family. I use butter and coconut oil and EVOO. I wish I had a good supply of beef fat, but last time we got a share of beef and I asked for the fat, I got one small package that made 2 cups once rendered. It didn’t last long, but made some AMAZING home fries! @Katie, Fries are definitely one of our favorite uses for tallow! We use a lot of coconut oil (prefer the kind that doesn’t taste/smell like coconuts) and butter. Also have palm shortening and palm oil (not my favorite!). Last year, one month we switched our sugars over to honey and sucanat(still need to work on decreasing our sugar intake though). Next month we switched our oils. I’ve been working on using whole grains traditionally (it’s a process and sometimes I have to take a step back and start over). Since switching our oils/fats and getting rid of the canola/vegetable oil and shortening….I have been able to stop taking kelp for low thyroid symptoms. My husband said that his “heart feels better.” Not sure what that means since he’s never had any heart issues. @trisha, What a great testimonial to how changing the fats that you eat can make a difference! Sounds like you are making awesome steps, Trisha! My husband manages a coffee shop, and we are always laughing about how people come in and ask him what they sell that’s “healthy.” He says, what do you mean by healthy? Usually they want something low-fat, but our idea of healthy at home would leave most of his customers aghast! We eat butter, coconut oil, tons of meat–but very little sugar and hardly any baked goods. It’s so nice to read something that makes me feel like I AM being healthy–because popular opinion still needs to be persuaded! @Anne, I feel the same way when I talk to many friends and acquaintances about “eating healthy”. Many of them definitely still follow the ideas of low-fat, low-cholesterol eating and although they see me as a health nut, I think they get confused by the meat and fat that we eat! We love butter around here. It is my favorite (and the kids too). I notice that eating butter literally scares some people. In the past I was a vegetarian and low fat manic for 8 years. I always felt terrible and looked terrible (so pasty and pathetic really). Once I started eating meat and more fat, I looked and felt better. I was surprised since I thought I was healthy! @Stacy @ Delighting in the Days,You don’t even want to know how long this post took me to write, LOL! @Stephanie @ Keeper of the Home, I can only imagine! Yay for healthy fats!! On my real food journey, I’ve been so excited to learn that I don’t have to be afraid of fat! My family really enjoys butter made from our raw milk but I have to say that my favorite is coconut oil. I started using it about a year ago and I’ve gotten to where I put it in almost everything that calls for an oil. Brownies, bread, stir fry, it all tastes awesome and it makes me feel good knowing that I’m giving my family something that they really need. Stovetop popcorn is my absolute favorite now using coconut oil. Great post! Thank you for this post. I was especially encouraged to hear that it is fine to bake with EVOO. My daughter is allergic to dairy, nuts and seeds, coconut and beef so the only safe oil I have found is olive oil but I was wondering if I was causing more harm then good to bake with it. We have also seen how helpful it is to get the enough fat each day. My daughter (22 months) has struggled sleep through the night, and due to her allergy issues we were pretty sure it was an issue of food. I started giving her oatmeal with a tablespoon of EVOO before bed and now she is sleeping all night with no problems! She just needed more fat in her diet! You have a lovely blog! This is a great post. I just started cooking with coconut oil and I love the way it makes the food taste. I also just made muffins on my blog with avocados and they came out so good! We use a lot of butter and a fair amount of olive oil. (Also real cream in our coffee and our milk is 2% or whole.) Margarine and “buttery” spreads are not allowed in my house. I don’t go out of my way to eat “traditional” foods, but this is something where it is SO EASY to make the switch! Thanks for a great “all in one” post. My dad just had to have 3 angioplasties done last week so I’ve been trying to send them easily digestible information (no pun intended) and this post will be a great jumping off point. In our house we eat plenty of butter and olive oil. I have some coconut oil, but I am not very consistent about using it. We have a homemade salad dressing that is primarily made out of olive oil, raw egg, apple cider vinegar, fresh lemon juice, and Parmesan cheese. (It tastes amazing!) We also have a couple of free range chickens in our backyard. We have made quite a few “healthy fat” transitions over the last few years, but I really enjoyed seeing your article so clearly laid out. It helps show me the areas where we can still improve. Thank you! I was shocked to see that safflower oil was on your list of fats to avoid. I started buying it a few months ago after hearing somewhere that it was one of the healthier ones out there. 🙁 I’m so glad that I read this today. Now I’m able to make a more informed decision concerning the types of oils I purchase. I have so much to learn about what types of foods are truly beneficial/harmful for myself and my family, but I’m getting there! Thank you, thank you for this post! I cannot wait to pass it on to my family and friends. Old mindsets about fat are hard to change but it’s been worth it! We use coconut oil in cakes all the time and it’s a huge hit! I’d love to use butter for everything. But I don’t know what to substitute when money is tight. Butter is close to $3 where we live, which adds up really fast, especially if you use it for everything. I bake with butter, cook with canola and oil olive and I use coconut oil on my skin, but it is far too expensive to use for cooking. That being said, I prefer full fat dairy products and would happily keep my daughter drinking whole milk (in spite of the new AAP guideslines) if it weren’t approaching $4 a gallon. I won’t touch low fat ice cream with a ten foot pole. Our own homemade stuff is better anyway. My husband is also lactose intolerance and suffers from IBS so cooking with oils is easier on his stomach. He even uses a vegan butter substitute that is a combination of cold-pressed oils. I think butter at every meal would do a number on his GI, between the extra lactose and the high fat levels. @Laundry Lady, I understand the issue with butter cost. I find it pricey, too. I have actually found that buying coconut oil in large bulk (especially sharing it with family members or friends, like 5 gallon tubs) helps to make it actually cheaper than butter. That’s why I use it so much in my baking, or why I use it half/half with butter. Once I started buying it in bulk, it became my cheapest and allowed me to freely buy higher quality butter. As for your hubby, is he consuming much homemade bone broth? That would be really soothing to his stomach. I do understand about wanting to avoid the lactose for him. I used to have IBS as well, and part of the way that I healed it was to avoid dairy for nearly two years (though I did still use butter, since the lactose levels are pretty minimal when it’s just the fat, barely any protein), and then I added back in yogurt when I began eating dairy again and at that point I could tolerate it well. Another thought for him would be ghee, clarified butter. It is only the butter fat, absolutely no remains of the protein or lactose. You can buy it, but it’s also easy to make yourself and it tastes great. Thanks for a great post! I know it’s a lot of work, but I love all of the references. I also just read this article at the NY Times http://www.nytimes.com/2011/04/17/magazine/mag-17Sugar-t.html that talks about the fat hypothesis and how sugar may be the true source of the lipid problems with the western diet. It is very intriguing! @Christine., Thanks for sharing the article, Christine! I’m interested to read it! @Christine., Oh, I just realized that it’s an article I posted on my Facebook page the other day. 🙂 It really is a worthwhile read! I love all this. 🙂 Made the transition in my house – no more weird oils here – it’s all olive oil and butter and palm shortening. Now I did want to ask what you think about Palm Shortening for frying? I find it seems to do really well for me, even at high temps! I like that it has no taste (I taste coconuts in the coconut oil). I don’t find it does well in baking for me (things like cookies come out cakey), but I do love it to “butter” my pans with – great replacement for the Crisco my mom used all those years. I do think it’s funny – my mom KNOWS how I feel about fats and yet she’s always talking about how to make something “healthier” by using low fat substitutes – and I’m like, “dude, you KNOW I don’t do low fat!” LOL She keeps forgetting. She still doesn’t get it. But I know eventually she will, if I just keep modeling the healthy eating for her. Excellent post! We love traditional fats around here, particularly homemade raw butter, coconut oil and olive oil. 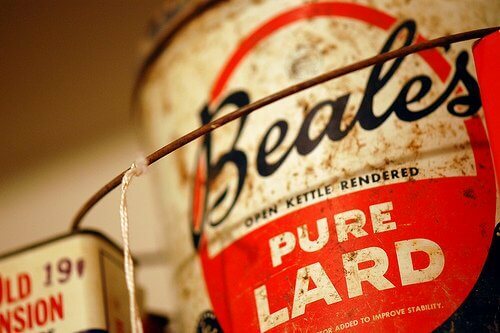 I don’t see beef tallow or lard on any of your lists – where does one buy those items? Are there any local places that tend to carry lard or tallow? @TJ, I’m sure that you can buy it places, but I’ve only ever known people to make it. I make my own beef tallow when I make broth out of the huge bags of extra bones that my butcher gives me when I buy part of a cow. When I cool my vats of broth, I’m left with lots of beef tallow on top and I render that to use for cooking. Actually, I just remember that US Wellness Meats (an online store) does sell tubs of tallow, possibly lard as well. But that’s the only place I can think of, unless you can find a local farmer that will sell it. you took the words right out of my mouth. thanks for this great, concise post that I can share with my friends. As a dietitian, it is SO HARD for me to convince people that fat is GOOD thing. Especially if those people were around for the low-fat craze of the 80’s and 90’s. I’m the same way – once I learned about the importance of fat in our diets, I started including more in my own diet, and after struggling with my weight in college, I was able to lose the weight I had gained (more fruits, veggies, and fat was my diet plan). Most people don’t realize that fat should be up to 35% of your total daily calorie intake. I think we should be cautious, though, in blaming the obesity epidemic solely on sugar. Yes, we absolutely eat too much refined carbs and sugar. But when people hear that sugar is bad, many times they will go to the extreme and cut out all carbohydrates, even whole grains and fruit. We still need those good carbs! @Alex @ Faith and Nutrition, I agree with you that we don’t need to cut out carbohydrates entirely. I definitely don’t advocate that kind of a diet. Refined grains and sugars, yep. They should go. Whole grains (esp. made in traditional ways like sourdough or sprouted), and definitely fruits are both fantastic foods that I eat plenty of. I appreciate you weighing in, especially as a dietician! Thanks, Alex! Thank you so much for this info. I took industrial fats out of our lives about 17 years ago. It was one of the best things I ever did for my family. This is such a great post and wonderful summary of fats! We have been on this traditional/whole foods eating change for probably 1-1 1/2 years, and I just wish someone had told me everything a LONG time ago! I can’t wait to share this post with so many people. @Erin, Love the weight loss testimonial! Thanks for sharing! Is it true that palm oil can be used for deep frying? @Kristin, Yes, my understanding is that palm oil is stable enough at high temperatures to be used for deep frying. I usually stick to beef tallow, but I haven’t read anything that would concern me about palm oil specifically. I was just wondering how you can eat butter, when it is loaded with Trans Fat? @Amanda, Butter may contain very small amounts of a naturally occurring trans fat, but this is not the same thing as the trans fat that is the result of industrial processes. Do you know anything about grapeseed oil? Is it good to use? Or is it in the category of canola oil, etc.? @Jill, From what I’ve read, grapeseed is in the category of something you’d want to use only very minimally and only cold-pressed, but it’s not as bad as something like canola. It does have a high smokepoint, but I’ve read that there are also problems with the way its processed and farmed. If you can find an organic, cold-pressed one, I think it’s ok to use once in a while. I personally use it once in a while, only in our homemade mayo (half/half with coconut oil) and not for anything else. I notice that you buy Tropical Traditions coconut oil. Is it preferable to Nutiva? That is my biggest confusion in switching to more traditional foods as well as supplements, etc…brands!!! @Melissa, I also struggle a bit with knowing what is truly better than others. Both TT and Nutiva carry an extra virgin organic coconut oil. I honestly don’t know whether one is better. But, I do go for TT because they sell in large bulk, and when they have coconut oil sales, I have previously gone in on it with family members or friends and it ends up making the oil very affordable! this post was perfect – answered all the questions that have been piling up in my mind. thanks for your effort! We started transitioning to traditional foods about 6 months ago… we drink whole milk (occasionally raw, when we can afford it), use coconut oil & butter… I’ve done my best to cut out all processed foods, but inevitably there are times we can’t avoid it (ie- eating at friends’ homes, restaurants)… and since then my husband and I have both actually gained a bit of weight (5-6lbs each). I’m trying to figure out why, since I hear most people lose weight immediately when they make the switch. The only thing I can think is that perhaps we aren’t physically active enough. Our great-grandparents who ate traditional foods spent a lot of time outdoors, doing hard, manual labor. Both my husband and I have “office” jobs, and we haven’t exercised much at all in the past 6 months, since we started making the switch to traditional foods. We are also in our mid-twenties and I guess our metabolism is slowing down. ? I don’t know! I’m trying not to get discouraged. I’m really eager to check out all of these sources and read more about fats. Thanks for posting this! It’s not necessarily the physical activity component… 80% of it is what we eat. Restaurants are the hard part, but my husband and I focus on eating chunks of beef, chicken, or pork with lots of vegetables and avoid the pasta and bread. If you want other ideas about traditional foods, check out Mark’s Daily Apple … fabulous blog about traditional eating. Love love love this post! Thank you for the excellent break down, esp what’s best when cooking vs baking and such. I bought coconut oil recently, but still using my canola oil. Kick me to start using that coconut oil! 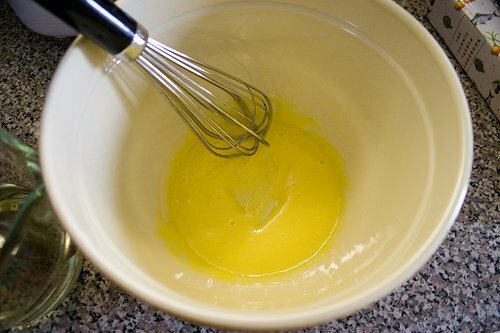 Do you melt it before using it in baking? 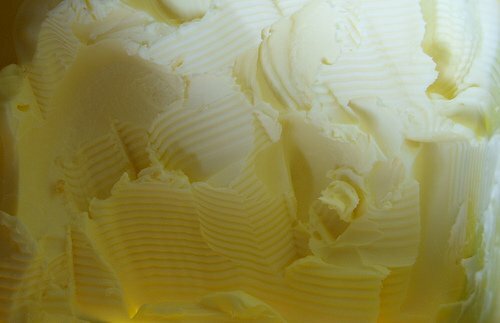 I usually get it melted for baking purposes… if you need something at a softened stage, butter is really the best… try melting butter in place of the canola oil and see how you like the taste. Coconut oil is really neutral in flavor, too, so it makes a good can’t-tell-the-difference substitution. Your body will thank you. The Conjugated linoleic acid (CLA) increases gradually as cows are turned to the pasture and decreases when cows are fed grain diet. Grass Fed Butter Oil is the best. This popped up on Yahoo news this morning – looks like it’s a few weeks old, so perhaps someone has referenced it already… I immediately thought of this site when I read it! Just wondering, I keep hearing that canola oil is a healthy fat. Only recently have I seen contradictions so I’m a bit confused. Why is it not good? Help, please enlighten me! HELP!! I am so new at this and hear so many conflicting views. I have about 150 pounds to lose so I joined Weight Watchers. I love the program, but a lot of it is surrounded around low fat, fat free eating. At the same time we starting weaning ourselves off of processed food to go towards a more Whole eating approach. I have lost 15 pounds in 6 weeks eating lots of fruits, veggies, butter and whole milk. I have a cousin who is a heart surgeon who said that skim milk is better than whole to drink and that there aren’t any chemicals added to the skim. What do you think? @Lori, I would stay away from a low fat approach to losing weight. I like how WWs teaches people to be more aware of their portions and caloric intake (because so many of us do tend to overeat) but I don’t believe the low fat aspect is healthy. Our bodies need fat, and I have found it easy to lose weight as long as I was eating unprocessed foods and healthy fats (fish, nuts, coconut oil, butter, olive oil, etc.). I think that 15 lbs in 6 weeks is an amazing loss, especially if it’s just from switching over to more whole foods. That sounds like it is truly the best approach, in my opinion. The processed foods are the ones causing you problems, and a whole foods diet will allow you to lose the weight more slowly, carefully, while eating and staying full, and eventually get to just a really good weight that works for you (because everyone’s body is a little bit different). I do agree that conventional whole milk (as in, the regular milk in the stores) isn’t a great option because of the chemicals, but I don’t think skim milk is the right alternative. Instead, organic whole milk is a better choice, and even better than that is whole certified raw milk (from clean, grass fed cows). That way you’re still getting the good dairy fat, but you’re getting much less in the way of chemicals because of how the cows are raised and the feed they receive. I just wanted to second the organic whole milk. That way you get the delicious taste and healthy fat of whole milk without all the chemicals. Because organic milk is more expensive I also cut back on how much I drink, which in turn has encouraged me to drink my eight glasses of water a day. It’s a win-win situation! I would really not recommend raw milk to anyone. Milk is pasteurized to kill milk born diseases like listeria and tuberculosis. 12.6% of all raw milk in the US is contaminated — so out of every 100 bottles of raw milk, 12 will be contaminated. Nearly all cases of tuberculosis in the US come from raw milk or un-aged cheese products made from raw milk. (the rest come from immigrants who contacted the disease in their home country) This risks not only your own health, but everyone you come into contact with. products like yogurt, aged cheese, etc made from raw milk are safe to eat since they go through a fermentation process. Can you site your source for your 12.6% claim of raw milk being contaminated? And your TB conclusion? Also, consider your source…is the study sponsored or connected in part by the USDA or FDA? Who, I might add, is currently in the hands of big ag? Just like we’ve been told that fat is bad for us…we’ve also been brainwashed over the years to believe that raw milk is bad. When milk is from healthy animals, cared for and clean, it is just as safe as pastuerized (dead) milk. In traditional fats, you talked about shortening, you meant vegetable shortening? I keep hearing its bad for health so please enlighten me! Thank you! It is refined, processed carbs NOT natural fats that are killing us. One important thing I stress to my patients (I am a registered dietitian) is that butter, meat, etc. MUST be from organic, 100% grass-fed beef. If beef is grain-fed at any point, their fat changes to “bad” fat. Loved your article! Spot on! So many people are brainwashed in believing the myths you present. Sadly, there is a “pay-off” for all the brainwashing however…a multi-million dollar a year profit industry…Big Pharma! Hi, I just made a recipe today that called for margarine. I substituted the margarine w/ 1/2 coconut oil and half pureed white beans. It was a sweet recipe, and the beans did ruin the flavor. I always substitute butter for margarine and it tastes great. Hi. My research on fats led me your site, and I am SO glad it did. I’m from India, and here most of the urban population has bought into the saturated fat scare. The irony is that our traditional fats are coconut oil, ghee and mustard oil (comparable to olive oil). I have switched to coconut oil, and I’m urging my friends and family to do so too. I have a question – unrefined coconut oil has a smoke point of around 350°F, not much higher than that of EVOO. I have noticed that it smokes much more easily than refined vegetable oils. Then why is considered more stable? Only one of your “sources” is even marginally credible. While I don’t disagree with everything you’ve said, the majority of your argument is made of smoke and mirrors. For a minute I thought I might have been on a content farm such as livestrong or about. P.S. The fact that the brain is largely composed of saturated fat has no bearing on whether saturated fat is healthful to eat or not. Doesn’t look like Stephanie has been out here for 2 years. I dont think we’ll be seeing a response. Why do you think the source is not credible? Where I live (in BC Canada), I can’t seem to find any grass fed butter. The best is only organic from say, Whole Foods Market but I know that organic isn’t always best so I was wondering where you get your butter from? I am looking for a good palm oil shortening. Tropical Traditions does seem to be the best bet. Except there are three problems. First on the website, the palm oil shortening is only sold in gallon size. Second, it is geared for wholesalers. Third, I have no idea where to buy in retail. I tried Amazon, but the listing is unavailable. Any ideas?